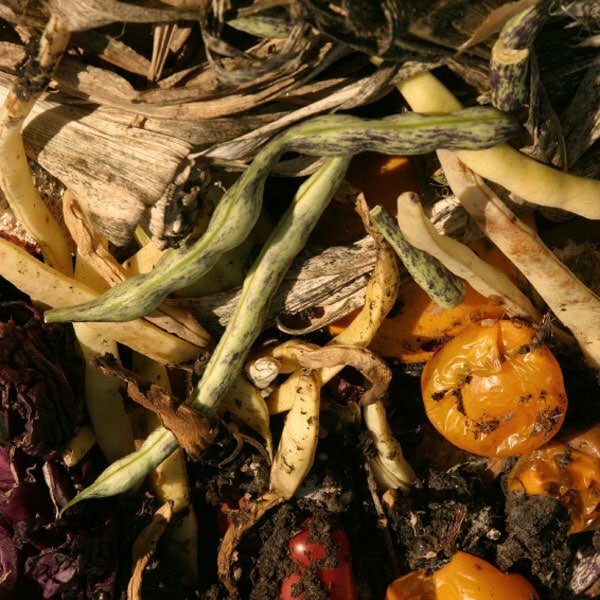 Don’t believe these common myths about how to make compost. It’s easier than you’ve heard and our composting guide will help. Several myths about backyard composting have become so prevalent that it behooves us to start this section by getting those out of the way. Some of the later instructions will probably use the term “build” and may even refer to layers, so it’s critical that everyone understand that “build” is quite metaphorical in the case of compost piles, and that layers, while sometimes convenient, are never necessary. 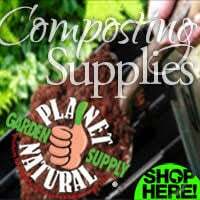 In case you don’t want to read through all the reasoning, here’s the short version: compost does not have to be built in layers, nor does it have to be put together all at once, nor need the ingredients be processed before composting, nor does a pile have to be hot to qualify as a full-fledged, bona-fide, actual compost pile. Nobody says this in so many words, but when the only method offered is a layered one, the message is clear. 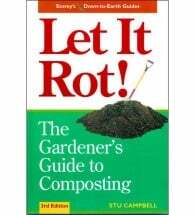 And indeed, most how-to guides tell you to add ingredients in layers, usually six inches of brown stuff followed by two of green, with an inch or so of finished compost or soil every once in a while. Only a few sources bother to explain why you should do this. So let us be clear about this: layers are not necessary for a successful compost pile. The layering instructions constitute a recipe, and the layers are a measuring system. The add-six-inches-of-this-two-of-that formula helps ensure that you have a good brown-to-green (carbon to nitrogen) ratio, and that the two basic types of ingredient are at least minimally mixed. The occasional layers of soil or finished compost provide microbes throughout the pile, so you don’t have to wait until the ones in the dirt under it make their way up through the whole thing for it to start cooking. One more time: layers do not, in themselves, promote quick or efficient composting. In fact, a good mix will heat up faster. One site on how to build hot piles insists that the ingredients be mixed before they’re added to the pile, and this method will indeed heat more quickly than will exactly the same ingredients in layers. Even the most basic terminology associated with composting supports this misperception. Take the word “build,” which implies that putting the pile together is a relatively short-term activity. Building a house or a church, for instance, generally takes longer than one afternoon, but with rare exceptions (usually in the case of churches) it is over fairly early in the “lifetime” of the structure. And then there’s that injunction to build in layers. “Add six inches of this, two of that, etcetera, etcetera, and top it off with — ” Well, really. If that doesn’t leave the impression that a pile should be built all at once, it’s hard to imagine what would, and composting instructions are full of such instructions. The injunction to do it all at once is enough to bring despair into the heart of the beginning composter. Where is she supposed to get all that stuff at one time, and where in this plan (or pile) is there a place for the daily kitchen compost? Building a pile in an afternoon does indeed bring its own rewards, but a lot of them are purely psychological. It is always nice to finish a task, and with a pile, there’s the satisfaction of knowing that the entire heap of stuff will be available in a few months to put on the garden. But nothing about composting requires that piles be assembled, top to bottom (or vice versa) in one take. The advantage of the “afternoon pile,” so to speak, is that it all matures at the same time. 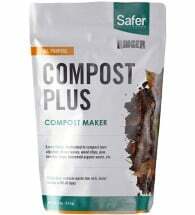 There can be problems with the add-as-you-go piles, if you need compost when a lot of the ingredients were only added last week. Makes two batches so the finished product is never more than a few days away. 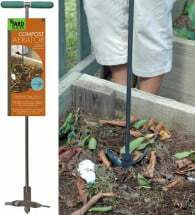 Made in the USA of recycled materials! The Compost Wizard Dueling Tumbler makes it happen. This small-batch workhorse keeps two separate bins going so the finished product is never more than a few days away. The tough recycled polyethylene construction is built to last through many seasons and weather extremes. Truth to tell, most compost piles accumulate gradually. Plenty lead a dual life, starting as untended scrap-heaps through the spring and summer which get spruced up, layered, and entirely rebuilt in the autumn when composting material is especially plentiful. After this make-over, the partially composted material sends micro-organisms throughout the whole pile, enabling it to heat up within days. There is at least one distinct advantage to a pile that continues to grow even after it’s heated up: the new ingredients will disappear in record time, especially if they’re dug into the center. No. A leaf, apple or cantaloupe rind shredded into small particles will indeed break down more quickly than the same thing left whole, because more of its surface area will be exposed to microbial activity. But there’s no “must” about it, and before going out to buy a shredder, consider the ecological impact of buying and using a gas or electric machine to prepare ingredients for composting. There is such a mystique at this point about hot compost that some people feel they can hardly show their faces before fellow-composters unless their pile is over a hundred and twenty degrees. They slink around the edges of organic gatherings with that hang-dog look of those who know that they aren’t real composters, just dabblers, or worse, poseurs. Well, folks, no. At any temperature above about 40°F (4°C), compost happens — eventually. It’s all a matter of time. 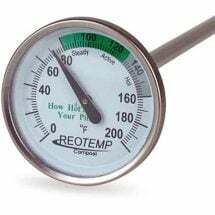 So heat is important for two possible reasons: you’re in a hurry, or you want to ensure that seeds and pathogens in the mix get killed by continuous high temperatures. If you add diseased plant material to your compost pile, or weeds that have gone to seed, then you will need a hot pile to ensure that you won’t be spreading weeds and disease whenever you spread compost. 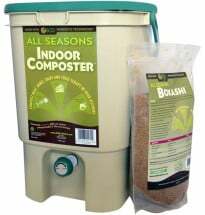 If you need compost as fast as possible, then heat helps. Otherwise, it’s nice, but not necessary. Virtually all instructions for hot piles are instructions for batch systems; almost all discussions of continuous piles assume that these will be cool piles. This is one of those assumptions that tends to be correct, but that a determined enough composter can turn on its head. A classic continuous pile that gets built up gradually as material becomes available and only gets turned once or twice a year will not be a hot pile. 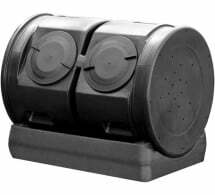 But mixing it up: hot, hot, hot, describes a batch system that can also incorporate so much new material that it could almost be called continuous. A proprietary blend of microorganisms used to break down kitchen and yard waste.